2K Games company has published the latest Borderlands: The Pre-Sequel trailer, which presents one of the characters from the upcoming adventure game - Handsome Jack. In his inherent manner, Jack reads the famous poem, titled Ozymandias. But what if not only poem unites both characters? May anyhow the Jack’s and Walter’s lives be similar to each other? 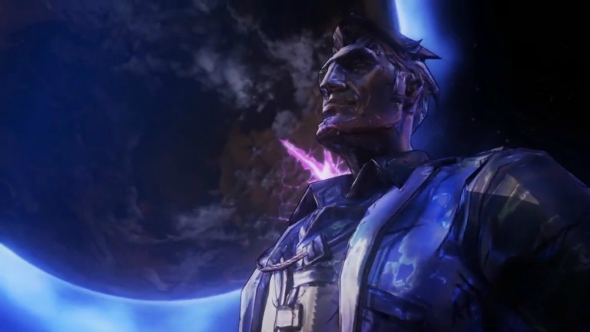 The fresh Borderlands: The Pre-Sequel trailer shows us Handsome Jack before he became a sociopath and the main villain of the project. In the video he just can’t get enough of his personality, adores his own voice and enjoys the life to the full. So what made Jack break bad and become a criminal? According to the developers, the next part of the Borderlands franchise will give the answer to this and many other questions, and the players will see the antagonist from the different side. "We wanted people to look at Handsome Jack differently, obviously. We at least tried to explore a different side of him, but also remind you that he was a villain", said Gearbox Software’s creative chief - Mikey Neumann. Did the new Borderlands: The Pre-Sequel trailer impress you? Did you like such an image of Handsome Jack?